Aghada Hall was, apparently, a large Georgian house designed by the Cork architect Abraham Hargrave (1755-1808); though it seems to be “a comfortable gentleman’s residence rather than a vast mansion.” It was completed in 1808. 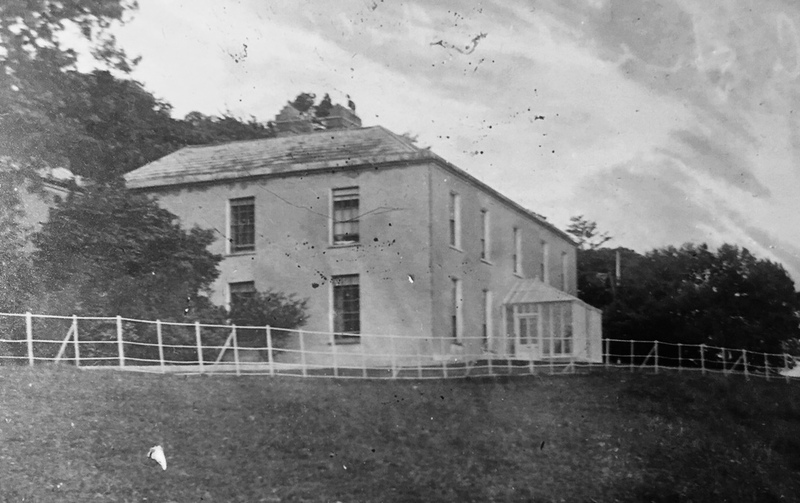 John Roche was also responsible for the start of the Aghada National School in 1819. In the 1911 Irish census, Aghada Hall was described as a first class house with 9 windows in the front, and 8 rooms occupied by the family, and 15 outbuildings. Edwin (or Edward – he used both) Penrose-Thackwell was also listed as the owner of a two room cottages, one three room, and one four room cottage, nearby. The estate seems to be a substantial working farm. The main house had two stables, a coach house, harness room; three cow houses, a calf house, and a dairy. It also had a piggery, fowl house, boiling house, barn, shed, and a store. Fifty-four year old Edwin was living in the main house with a substantial staff, Thomas and Lavinia Buckley, who were married, were the butler, and housemaid respectively. They also had fifty-five year old Mary Flynn, the cook, and a dairymaid, parlourmaid, and kitchenmaid, all in their twenties. In addition, to the main house, James Scanlon the gardener (48) and his wife were in the two room cottage. Ernest Jones (32), and his wife Gertrude (30) and their eight year old son were in the four room cottage, along with Gertrude’s twenty-five year old sister. Ernest was the chauffeur, and Ernie and Gertie had been married 11 years. Finally, there were eight members of the Murphy family in the three room cottage. Edmond Murphy and his wife with three daughters, and three sons. All four men, Edmond (50), Denis (22), Edmond (16), and Patrick (15) are general labourers, presumably working on the estate. The gardener and chauffeur’s houses, both had a shed and fowl house, and the Murphys had a piggery, and fowl house. John Roche who built the house, “amassed great wealth during the French wars”, according to “Barrymore Records of the Barrys of County Cork” published in 1902. He was Ernest O’Bryen’s great grandfather, and made quite significant efforts to establish some sort of Roche dynasty to maintain the family name, and the house that he had built for himself. There were three significant beneficiaries of John Roche’s will of 1826, with a later codicil. They were his nephews James Joseph Roche, and William Roche; they seem to be cousins rather than brothers. The third main beneficiary was John Roche’s eldest grandson, John Roche O’Bryen. The total estate amounted to about £ 30,000 when John Roche died in 1829, the modern day equivalent of £45,720,000.00. The house and land was left to James, and his male heirs, first of all, and then William, who also inherited £ 10,000, “in case of his not coming into possession of the estate by the means before-mentioned, I leave him £6,000″ plus John’s grand-daughter, Jane O’Brien’s …… £4,000 £4 per cent. stock ;” . Jane O’Bryen, John Roche’s granddaughter was married to his nephew William Roche, and their daughter Pauline Roche inherited their share as a one year old orphan. The final third was John Roche O’Bryen’s £ 10,000, presumably in the expectation that a male Roche heir would inherit the house and land. John Roche O’Bryen, and Jane O’Bryen were Catholic. All their five remaining younger siblings were Church of Ireland. JROB and Jane/William Roche are the only O’Bryen beneficiaries of John Roche’s estate. The O’Bryen siblings are John Roche’s only grandchildren. 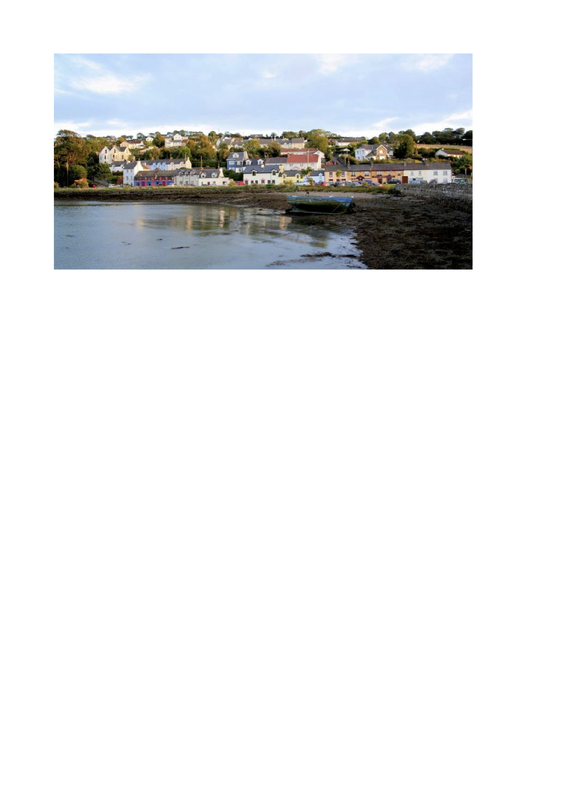 Aghada is a small fishing town situated to the south-east of Cork city in County Cork, Ireland. Aghada parish consists of several small villages and townlands including Rostellan, Farsid, Upper Aghada, Lower Aghada, Whitegate, Guileen and Ballinrostig. The estate, and the provisions of John Roche’s will were part of a court case, and appeal in 1848, and 1849. (Hillary Term 1848, Mary O’Brien v James Roche and William Roche…lands of Aghada [Mitchelstown Cork]… and Roche v. O’Brien —Feb. 1, 2. 1849) following the death of James Joseph Roche in 1847. William Roche had died in 1836, and James Joseph Roche, and his family were living there until James’s death in 1847. The house appeared to have briefly in the possession of Henry Hewitt O’Bryen Junior, one of the younger O’Bryen siblings in the early 1850’s. The house and land were sold in July 1853 in the Encumbered Estates Court, as part of the estates of James Joseph Roche, and William Roche, with Mary (Maria Josepha) and Eleanor Roche listed as owners, and Pauline Roche as ex parte. [The Encumbered Estates’ Court was established to facilitate the sale of Irish estates whose owners were unable to meet their obligations. It was given authority to sell estates on application from either the owner or an encumbrancer (somebody who had a claim on it) and, after the sale, distribute the proceeds among the creditors, granting clear title to the new owners.] The house was bought by Major General Sir Joseph Lucas Thackwell in 1853, and remained in the Thackwell family until at least 1911. Henry Hewitt O’Bryen does still seem to be a significant landowner in the area, so may well have kept some of the land. 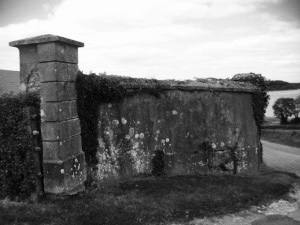 Most traces of Aghada Hall seem to have disappeared, apart from signs of a walled garden, half an entrance and a small gatehouse. The old sheds and stables have apparently been converted into houses. Major General Sir Joseph Lucas Thackwell had married Maria Audriah Roche (from the Trabolgan branch of the Roche family) in 1825. She was the eldest daughter of Francis Roche of Rochemount, County Cork (an uncle of Edmond Roche, 1st Baron Fermoy). This, incidentally, made Maria Thackwell, a first cousin, five-times removed of Diana, Princess of Wales. They had four sons and three daughters. She should not to be confused with Maria Josepha Roche, who was James Joseph Roche’s daughter, and one of the parties to the 1848/9 court cases. There seem to have been about nine grandchildren; all either the children of Edward Joseph Thackwell (1827, d. 1903), or his younger brother Major-General William de Wilton Roche Thackwell (1834–1910). Edward Joseph’s son, Lt.-Col. Joseph Edward Lucas Thackwell (1853-1886) had four sons, and one daughter, who seemed to be the major beneficiaries, or users of the Irish houses. His son Walter Joseph de Rupe Thackwell was described as “now of Aghada,” in Burke’s Landed Gentry in 1894, and a younger son Captain Edward Hillyar Roche Thackwell, was living at the house in Waterford in 1911. However Major William de Wilton Roche Thackwell (1834-1910), and his wife Charlotte Tomkinson seem to have lived in Aghada Hall, at least some of the time until 1894. Their eldest daughter Katherine Harriet Thackwell (1866 – 1950) married Col. Edward (or Edwin) Rawdon Penrose in 1891, and they celebrated their wedding there. Katherine, and Edward added Thackwell to the family surname by 1911, most probably after the death of Katherine’s father in 1910, becoming Penrose-Thackwell from then on. The only significant grandchild not to have a notable link to the house is William WR’s only son Edward Francis Thackwell (1868 -1935) but that was most probably because he had married Kitty Pope-Hennessy on Feb 3 1894 at Rostellan Castle in Cork. She was a forty-four year old widow, and he was twenty six. He was a year older than her eldest son who died young, and three, and seven, years older than his step-sons. It was probably a Catholic wedding, thus excluding Edward from the provisions of his grandfather’s will, but the pain may have been slightly ameliorated by his wife’s thirty room castle, with the sixty one outbuildings, including seventeen stables, three coach houses, two harness rooms, and twenty cow houses. All of two and a half miles from Aghada Hall. It is still not entirely clear when the house was demolished. Sir Joseph Thackwell GCB KH (1 February 1781 – 9 April 1859) enters the story because he bought Aghada Hall in 1853, when it was sold following the death of James Joseph Roche, and the O’Brien v. Roche court cases in 1849. Joseph Thackwell was born on 1 February 1781 at Rye Court, in Worcestershire. He was the fourth son of John Thackwell and Judith Duffy. The Thackwells had been landed gentry in Gloucestershire, and Worcestershire since at least the middle of the C17th. John Thackwell, JP, “of Rye Court,Moreton Court, and Birtsmorton Court in Worcestershire”, Joseph’s father died 1808. Nash, writing towards the end of the 18th century, remarked that ‘the Thackwells have now a good estate in this parish.’ The parish being Berrow in Worstershire. He was commissioned as a Cornet in the Worcester Fencible Cavalry in 1798, was promoted to lieutenant in September 1799, and served in Ireland until the regiment was disbanded in 1800. He joined the 15th Light Dragoons, becoming a Captain in 1807. He served with the 15th Hussars in the Peninsular War at the Battle of Sahagún in 1808 and the Battle of Vitoria in 1813, and he lost his left arm at the Battle of Waterloo in 1815. He was promoted to a major at Waterloo, and made a brevet (honorary) lieutenant-colonel in 1817. 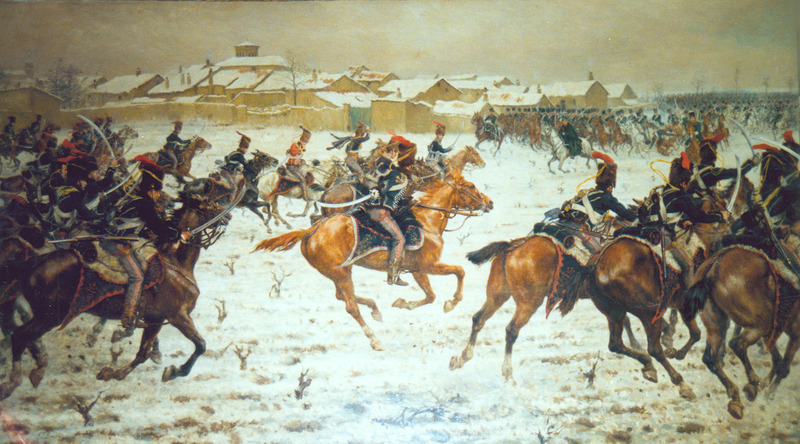 The 15th Hussars were at the Peterloo massacre in Manchester in 1817. So he may well have been at Peterloo. According to the Manchester Observer, “one officer of the 15th Hussars was heard trying to restrain the, by now out of control, Manchester and Salford Yeomanry, who were cutting at every one they could reach” calling out “For shame! For shame! Gentlemen: forbear, forbear! The people cannot get away!” It’s probably too much to hope he was the officer “trying to restrain the out of control Manchester and Salford Yeomanry”, but it is at least possible. He was almost as senior as Lieutenant Colonel Guy L’Estrange [the commanding officer on the day] , but, as a brevet (honorary) lieutenant-colonel, didn’t out-rank him on the 16th August. 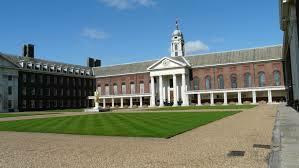 The regiment had been split up in 1817, and occupied various country quarters until it was reformed in 1821. So he may not have been there, it is certainly not mentioned in “The Military Memoirs of Lieut-General Sir Joseph Thackwell” published in 1908, which has quite an extensive about riots in Nottingham in 1831, where the 15th Hussars were supporting the civil power. He could have been at Peterloo, or perhaps not, either way, a year after the massacre, he was in command of the regiment for the following twelve years up to 1832. Joseph Thackwell was very much a career soldier, with brief pauses, he served almost fifty seven years in the Army. It’s quite a thought that almost forty years of that service was with only one arm. He was made Lieutenant-Colonel of the 15th Light Hussars on 15 June 1820, and commanded the regiment from 1820 to 1832. He then served in India, commanding the cavalry in the First Anglo-Afghan War of 1838–89, and at the Battle of Sobraon in the First Anglo-Sikh War of 1845–46, and at the Battle of Chillianwala and Battle of Gujrat in the Second Anglo-Sikh War of 1848-9. He also commanded the 3rd The King’s Own Dragoons, was colonel of the 16th Lancers, and was appointed Inspector-General of Cavalry, replacing HRH the Duke of Cambridge (1819-1904). His final promotion was to Lieutenant General on 20th June 1854, aged 73, as part of the Inspector-General of Cavalry appointment, although he had been seeking a cavalry command in the Crimean War. The appointment lasted less than a year, and he was replaced as Inspector-General on the 1st February 1855 by Major-General Lord Cardigan, fresh from the Crimea, and the debacle of the Charge of the Light Brigade. Cardigan’s appointment was political, and a reward for what was initially regarded as heroic behaviour, and poor old Sir Joe was the rather un-thanked casualty of Cardigan’s reward. Sir Joe was offered the Lieutenant-Governorship of the Royal Hospital at Chelsea, but declined it, and finally retired to Aghada for the remaining three years of his life. He had married Maria Audriah Roche, eldest daughter of Francis Roche of Rochemount, County Cork, who was a great uncle of Edmond Roche, 1st Baron Fermoy, on 29 July 1825. Joseph was forty-four years old, she was nineteen. Maria Thackwell was, therefore, a first cousin, five-times removed of Diana, Princess of Wales. 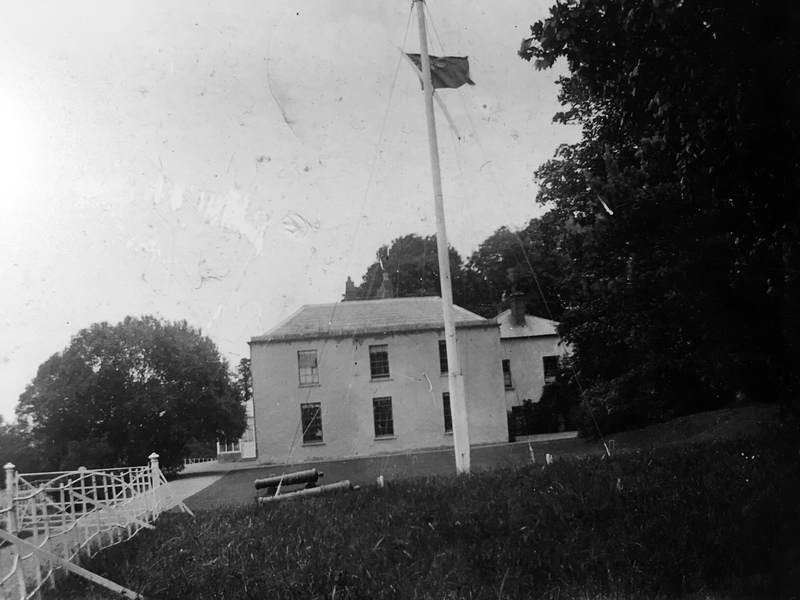 Sir Joseph bought Cherrymount House, at Templemichael, co. Waterford, in 1852, and Aghada Hall in co. Cork, the following year 1853. He died in Ireland on the 9th April 1859, aged 77, probably at Aghada Hall, and was buried on 14 April 1859 at Corkbeg cemetery, co. Cork, and Maria, who survived him by fifteen years, was buried there in June 1874. She was 68. Joe and Maria had four sons and three daughters. 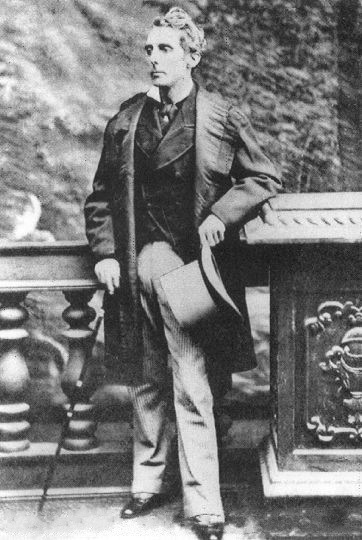 Osbert Dabitôt Thackwell (1837–1858), unmarried aged twenty one. Francis John Roche Thackwell, ( ??? ?-1869) unmarried ? He was invested as a Knight, Order of Hanover (K.H.) in 1834, well technically admitted to the Third Class of the Hanoverian Guelphic Order, on his retirement from the 15th Hussars. He was made a Companion of the Order of the Bath (C.B.) in July 1837, a month after Queen Victoria’s accession to the throne, as part of his promotion to a Major-General in India, and then finally, on his retirement, made a Knight Grand Cross of the Most Honourable Military Order of the Bath (G.C.B.) in 1849, on the recommendation of the Duke of Wellington. To quote from his memoirs. His four sons became officers in the British Army, though in Edward Joseph’s case, it was only briefly before he was called to the Bar. 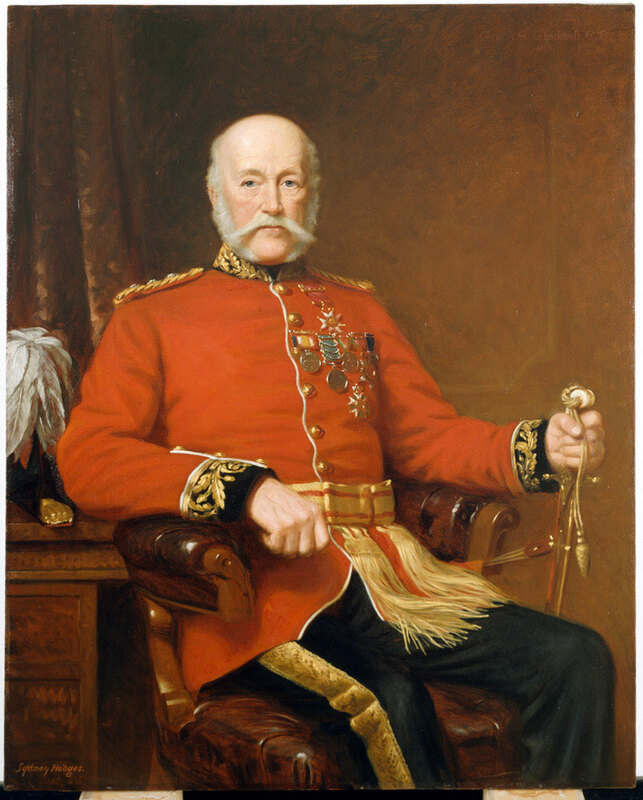 His second son, Major-General William de Wilton Roche Thackwell (1834–1910), served in the Crimean War and in Egypt in 1882. His third son, Osbert Dabitôt Thackwell (1837–1858), was lieutenant in the 15th Bengal Native Infantry. He was killed in the street in Lucknow,by some of the sepoys on 20 March 1858, following its siege, and capture. Final day of fighting before its recapture. He was twenty-one years old. His fourth son, Francis John Roche Thackwell, served in the Royal Irish Lancers, and died in India in 1869 from wounds inflicted by a tiger. His nephew Joseph Edwin Thackwell, CB (1813-1900) also served in the British Army, serving as Aide-de-Camp to his uncle when commanding the Meerut Division in India in 1852–53; he also served in the Crimean War, and also became a lieutenant general. 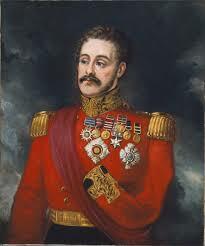 His brother-in-law, Edmund Roche 3rd Hussars, also served as his Aide-de-Camp, and also became a general. Edmund Roche’s only daughter Caroline Matilda Georgiana Roche [Sir Joe’s niece] married Sir Joe’s grandson Lt.-Col. Joseph Edward Lucas Thackwell. It is not entirely clear yet whether the girls had children, but the eldest two sons definitely did; Edward Joseph Thackwell (1827-1903) had four sons, and a daughter, and Major-General William de Wilton Roche Thackwell (1834–1910) had one son, and two, probably three daughters. All of Edward Joseph Thackwell’s sons also had army careers, and most of his grandsons served in the army, if only relatively briefly. The one standout Thackwell son who didn’t serve in the army unlike his father, grandfather, uncles, and cousins is William W. R. Thackwell’s son, Edward Francis Thackwell (1868 -1935) who had married Kitty Pope-Hennessey in 1894. Is he the black sheep of that generation? This is the start of the story of Kitty Pope-Hennessy. There’s way too much to put into one post, so this is the start of a series. It is tangential to the main families, but gives an interesting twist to the circles they move in, and also how inter-related they were. Kitty Pope-Hennessy married Edward Thackwell early in 1894 at Rostellan Castle in Cork. She was a forty-four year old widow, and he was twenty six. He was a year older than her eldest son who died young, and three, and seven, years older than his step-sons. Kitty and Edward had almost certainly met at the wedding of his sister Catherine at Aghada Hall in 1891. She became a widow that year when John Pope-Hennessey died in October 1891. Lady Pope Hennessy’s wedding present to the bride was an Astrakhan wrap. Edward was the only son of a second son, William de Wilton Roche Thackwell (1834–1910), who served in the Crimean War and in Egypt in 1882. All three of his uncles also served in the army, as did most of his cousins, but he certainly doesn’t join the army, and doesn’t appear to have worked much at all..
Edward’s grandfather had bought Agahada House in 1853, though by the time of the wedding, it had almost certainly been inherited by his uncle Joseph Edward Lucas Thackwell, and then passed on to Edward, and Katherine’s younger first cousin, Walter Joseph, (b. 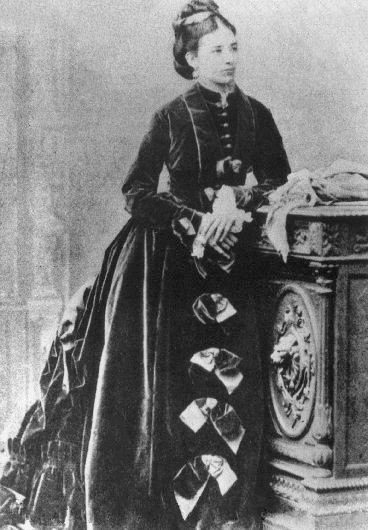 1876). The sale of the house was the end of John Roche‘s dream of creating a Roche dynasty, based on the male (Roche) sons of either of his nephews. The only male heirs John Roche had left after the death of James Joseph Roche in 1847 were John Roche O’Bryen, and his brothers. Lieut.-Gen. Sir Joseph Thackwell, who bought the estate, was a veteran of the Peninsular War, and Waterloo, as well as the First Anglo-Afghan War, and the First Anglo-Sikh War. Maria, his wife, was from the branch of the Roche family that owned Trabolgan House, which makes her a first cousin five times removed of Diana, Princess of Wales. Kitty’s husband, Sir John Pope-Hennessy had bought Rostellan Castle on his retirement from the Colonial Service. It had been in the hands of the O’Brien/O’Bryens since 1645 until the death of the 3rd, and last, Marquess of Thomond in 1855, when it was bought by Dr T. A. Wise, followed by Sir John. The house was demolished in 1944. There is a description of the house by Samuel Lewis in 1837. All three of the houses are within a five mile radius of each other on the south eastern edge of Cork harbour, though none have survived to the present day. There are no clear apparent links between our O’Bryens and Roches to either of the Rostellan or Trabolgan families, apart from shared surnames, and any speculation is for another time.